We know exactly how to make portraits of who you are, and we would like to chronicle your love story on your special day. We can create a series of memories that will last you a lifetime. Planting Fields Arboretum State Historic Park is situated in the Oyster Bay’s Upper Brookville, in New York. The park, which is also home to the Coe Hall Historic House Museum, is an arboretum which covers a sprawling 400 acres. Planting Fields gets its name from the Matinecock Indians who were responsible for cultivating the rich soil throughout the area. Towards the end of the 19th century, Planting Fields was the home of railroad and insurance executive William Robertson Coe and his family. Coe Hall is a Tudor Revival mansion; an elegant example of luxurious 1920s formal lifestyle. It is home to impressive collections of furniture, paintings, decorative arts and stained glass. The 67-room Coe Hall includes gardens, woodland paths, greenhouses, and stunning plant collections. Planting Fields is also home to an herbarium containing more than 10,000 pressed specimens. The landscaping was designed by the Olmsted Brothers of Brookline, Massachusetts, who created an English-style park setting. Planting Fields is renowned throughout Oyster Bay for its romantic setting and exquisite grounds. It is the perfect backdrop for those memorable wedding photographs. To help maintain the integrity of this beautiful setting, outdoor weddings may only take place in the Haybarn Area and the Dahlia Garden. A special permit must be acquired for taking photographs. The capacity for outdoor weddings is 50-100 people. Indoor wedding ceremonies may be held within the Great Hall of Coe Hall Museum. Only wedding ceremonies are permitted in this space, no receptions. The hall can comfortably accommodate up to 125 people. The Haybarn and courtyard are available for wedding events. Full-service catering is available through COFFEED. The space can comfortably accommodate 200 guests. You and your guests can enjoy sitting outdoors on the beautiful tree-topped deck.  Let’s get together, and you can tell us about your plans for your Planting Fields Foundation wedding. It will also give us an opportunity to show you our portfolio of wedding photographs. We can’t wait to meet you and your groom. Copyright © 2017 S27 Studio27. All right reserved.